Need to scan that “shoebox” full of family photos for posterity? 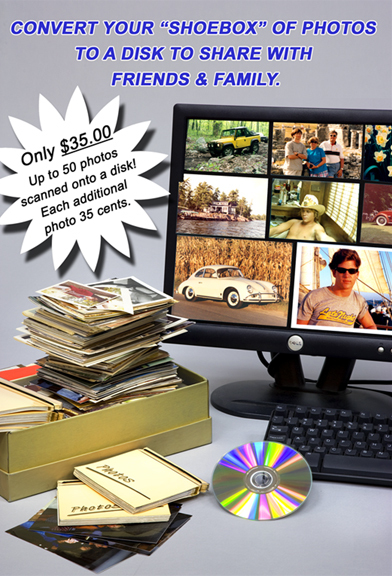 With prices as low as $.35/scan, we can digitize your family photos to CD or DVD at a cost that’s hard to beat! It’s a great way to protect your family history and to share pictures with friends and relatives. Call us for a quote.